European northern and southern gateways: alternative options or complementary opportunities? Discover more about how resilience, cost & time savings and risk management are driving shippers’ and cargo owners’ chioces. Are you interested in discovering more about alternative logistics access to central European markets? Would you like to learn about the main factors that are driving the logistics choices of European shippers and cargo owners? 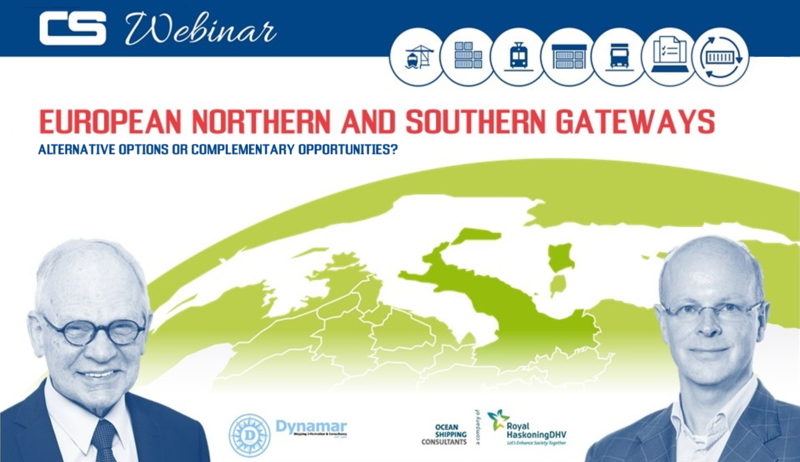 Wednesday June 13th, Contship Italia organized webinar to discuss European northern and southern gateways, in collaboration with senior consultants Dirk Visser (Dynamar) and Jolke Helbing (Royal HaskoningDHV). With Mr. Visser and Mr. Helbing, we learned more about how the quest for improved resilience, cost and time savings and better risk management is driving the shippers' and cargo owners’ choices. The webinar offered an objective overview of current and prospect scenarios for European supply chains, described the main factors influencing the shippers' and cargo owners' decision to route via north vs. south, and identified the main characteristics of the ideal southern gateway users, as well as their specific needs and priorities.